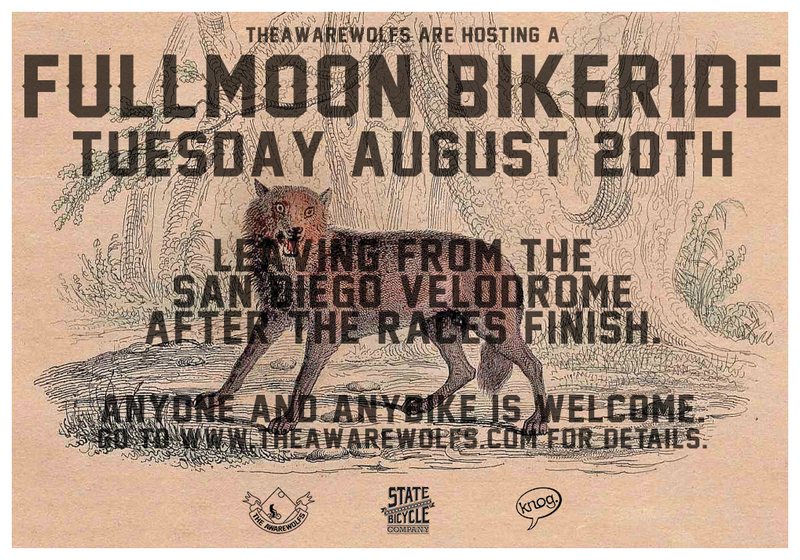 We’ll be meeting up out front the entrance to the San Diego Velodrome at the picnic table. Just like normal Veloroams. Cept this time we’ll have a rad route planned and we’ll end in some rad bike games where some State gear and Knog lights can be won! Anyone and anybike is welcome. We’ll keep it SAFE and we’ll all stay together in a pack as best we can while obeying the rules of the road.